Home software inventory. 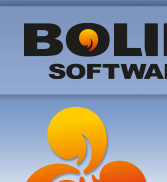 All My Software by Bolide Software. All My Software is FREEWARE now! Request your registration key using the form in the end of the page. All of your registration information, together with the developers' contact details, will always be within easy reach. All My Software will also make it easier to send messages to developer's support teams by utilizing a simple single mouse-click contact facility. The development of All My Software project has been frozen. Therefore, we are offering registration keys for free. Just fill the simple form below and you'll get your registration key via e-mail instantly. The program is able to work with Windows Vista/7/8/10, but you need to set "Run as administrator" option for the program shortcut's preferences. Try our software for personal movie catalog creation, the program for making your dvd database or software for library! How to find duplicate MP3 files? How to find duplicate photos? Check out our DVD collection organizer as well.